This recipe pays homage to the carrot; a root vegetable that is rich in beta carotene, a compound that may reduce cancer and heart disease. 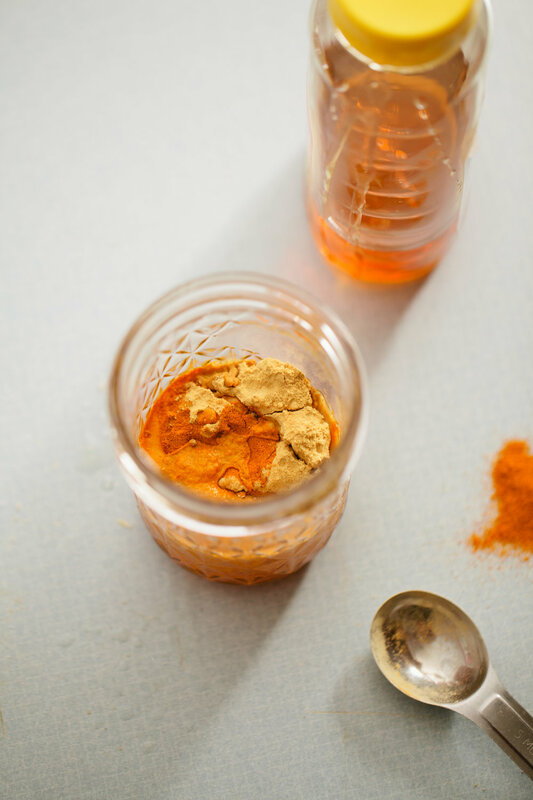 It's also packed with Vitamin A, which helps boost vision and bone growth, among other benefits. In addition to being healthy and nutritious, this recipe is also hearty, delicious and rich in flavor! Clean and dry carrots, remove tops and set aside. Melt oil in microwave or put glass jar of oil in a bowl of hot water to soften. In a small bowl, mix oil and sea salt. 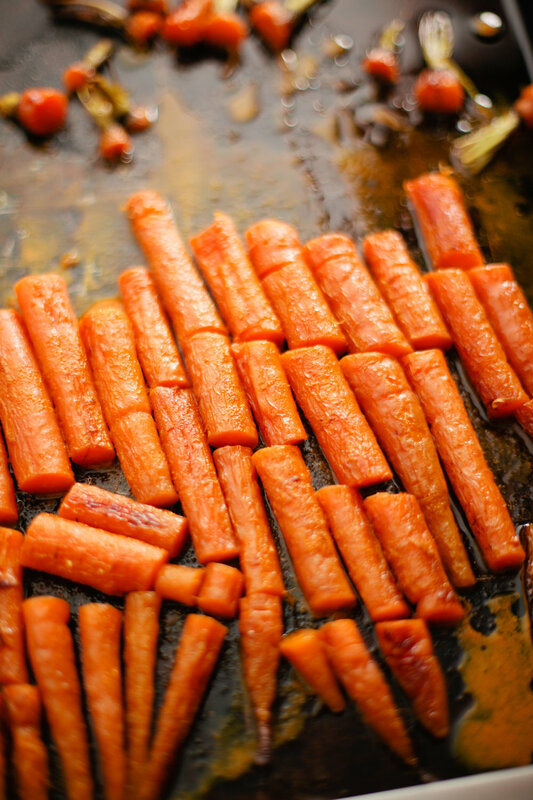 Rub carrots with salt and oil mix. Put rubbed carrots onto parchment lined baking sheets and roast in a 400 degree oven for 25-40 minutes until tender and just starting to brown. While carrots are roasting, make the sauce. 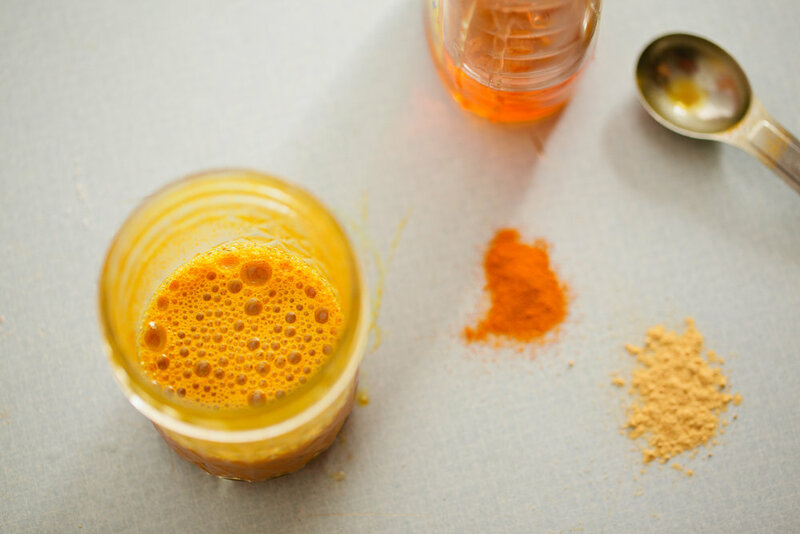 Combine honey, turmeric, ginger and lemon juice in a mason jar or bowl. Stir or shake to combine. 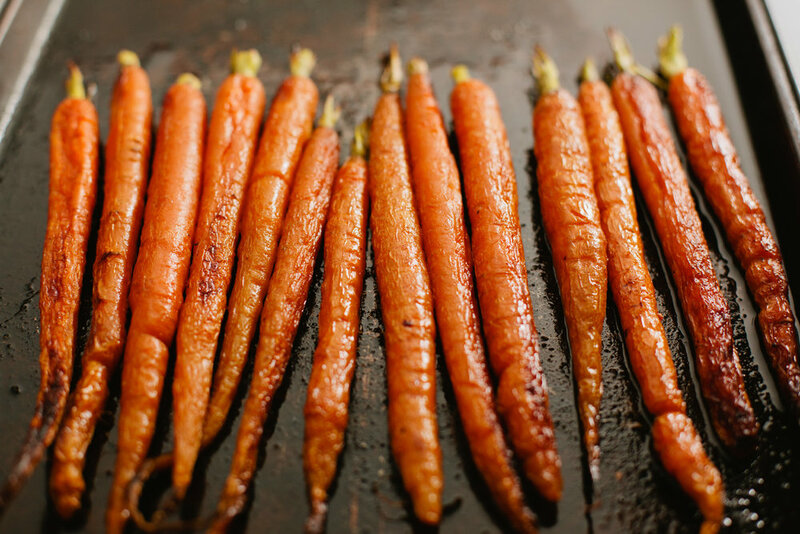 When carrots are done roasting, remove from oven and transfer to a side dish. Spoon sauce over hot carrots. Season with additional sea salt if needed. Serve warm or at room temperature. Enjoy! © t.e.l.l. New England 2017. All Rights Reserved.